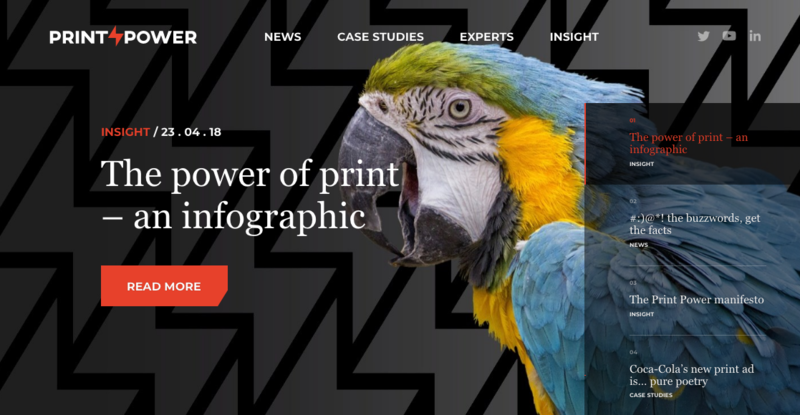 Print Power, a European trade association promoting the use of print media, has launched a new campaign featuring a potty-mouthed parrot character. The campaign, by Publicis UK content agency August, aims to convince brand, agency and media professionals that print has the "power" to amplify the impact of other channels, including TV and digital. A series of short films feature the feathered character venting his annoyance at marketing jargon, and end with Pedro exclaiming, "What a load of old…". The intention is to drive traffic to the Brussels-based association’s new website, which features insights and comment from prominent advertising voices, including Peter Field, Bartle Bogle Hegarty strategy partner Richard Madden, and Cannes Lions presenter Juan Senõr. Ulbe Jelluma, managing director of Print Power, said: "As digital channels face increasing levels of scrutiny, there has never been a better moment to remind those with decision-making power about the authority, humour, cut-through and effectiveness of print advertising. Print delivers diversity to the media mix, in a highly creative, complementary fashion – offering levels of trust, attention and physical engagement that other channels simply cannot." "There seems to be a renewed interest in print. The pendulum is swinging in the direction of print advertising again. And delivering the evidence about its value is therefore more required than ever."